We drive along the coast, towards Rethymnon, passing by Fodele, Bali, Panormo. Our fist stop will be the city of Rethymnon, in order to walk around the old Venetian city and enjoy a coffee by the Venetian port. 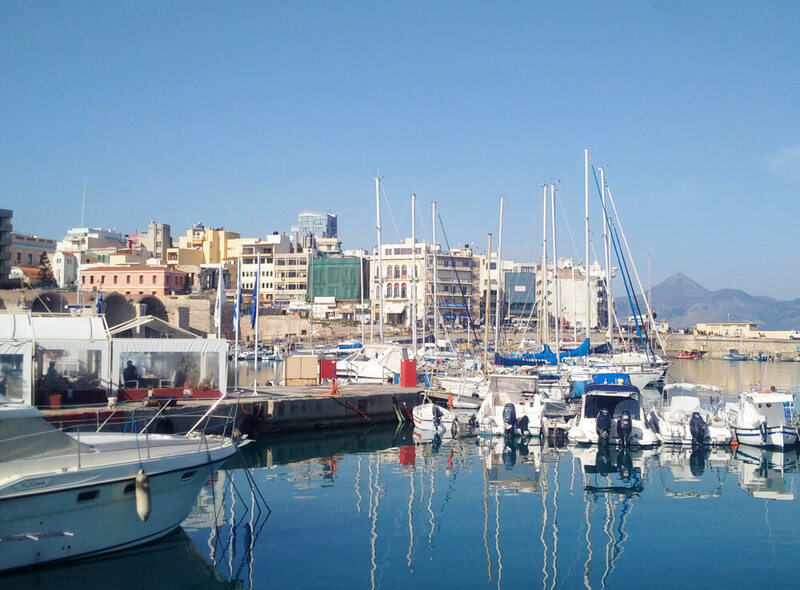 The city of Rethymno is an ideal tourist destination for visitors who wish to explore the rich cultural heritage and the natural beauties of Crete. This well-organized and easy to walk around and explore city (because of the pedestrian streets), offers to visitors a variety of picturesque routes to follow and numerous historical monuments to visit. The old city of Rethymno still preserves its old urban structure to a great extend, formed during the Venetian period and later reformed during the Turkish occupation. We feel lucky that the city was not flattened during the Second World War, although battles against the Germans took place in the area and the villages close by. 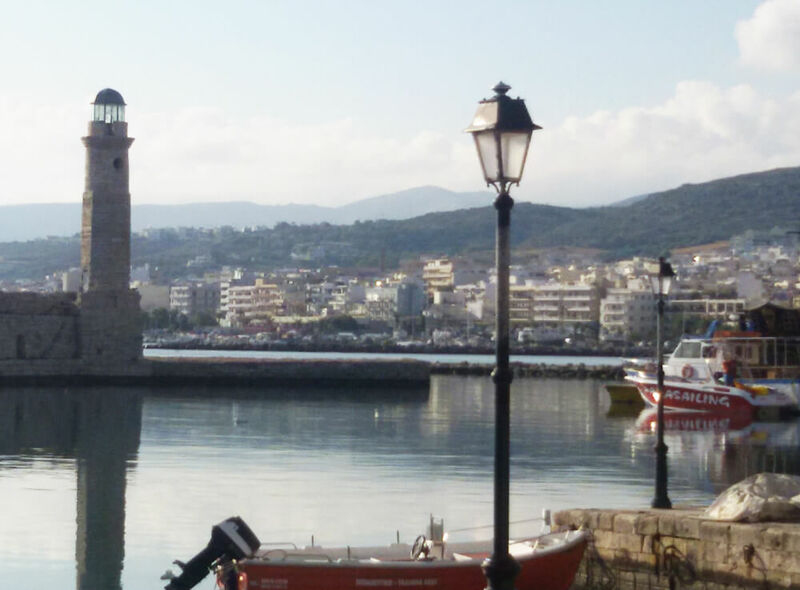 Rethymno combines rarely united features: the old town’s charm and history, with proximity to a long sandy beach (to both sides, either east or west). 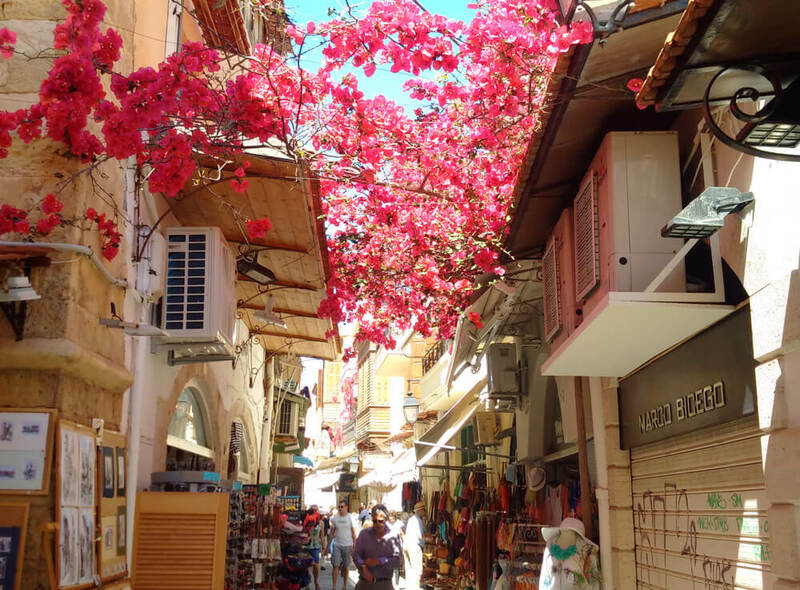 It is not as crowded as touristic areas close to Heraklion (Chersonissos or Malia) or Chania (Platanias) and many visitors choose this city because they want to feel the atmosphere, in a more relaxing way. 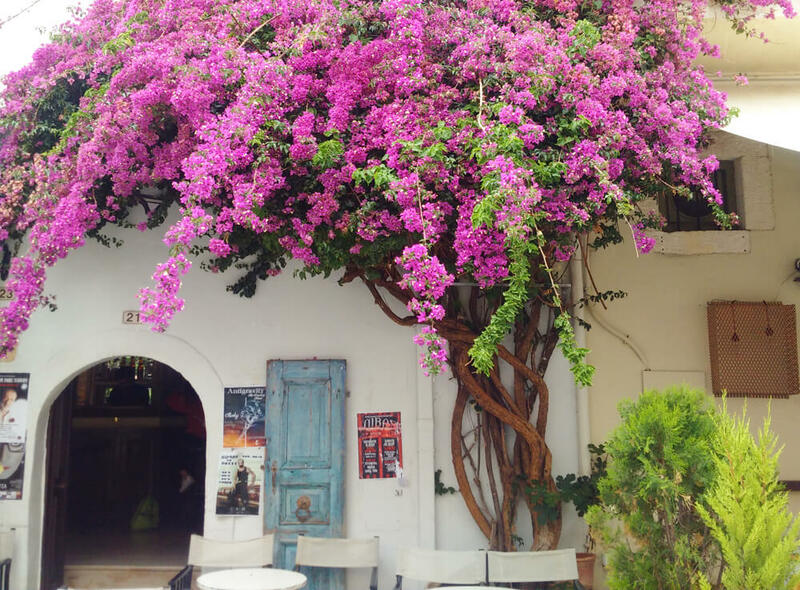 Although it is the third largest town in Crete, visitors and tourists at Rethimnon dont get the feeling that they are in a city, but more like in a village, where locals walk around in a relaxing pace, drink their coffee by the port. Rethymnon it has a provincial air; it’s a place that moves slowly, a very romantic pace and preserves much of its Venetian and Turkish influence. Explore one of the best preserved medieval cities in Greece. Venetian fortification, the famous fortezza overlooking the port and the city, the center of Rethymnon with orthodox and catholic churches, mosques, majestic mansions of Venetian style and architecture, arches and cobbled paths which create a magical atmosphere. The Venetian Loggia, dating back to the 16th century. Used as the archaeological museum’s shop. (Books, editions from the Ministry of Culture, regarding archaeological sites, copies of statues and clay models, Open Monday to Friday 08.00-15.00. This is a good landmark as a meeting/rendezvous place. Folklore and history museum on Vernardou 30. Open Monday to Friday 09.30-14.30. Closed Saturday and Sunday. Housed in a restored Venetian building with an interior courtyard. Eight halls with collections that include textile and basket weaving, embroidery & lace, costumes, ceramics, historic photographs and maps, weapons and coins. Over 5.000 items dating from the 17th to the 20th century are displayed. Next door is an old bakery/pastry shop where the baker keeps his old Venetian door open and is happy to show how he makes the traditional “fyllo” pastry leaves. The main minaret (Neratze mosque) is on Venardou Street, though it is surrounded by a very hefty scaffolding structure for a while. Used currently as a music school (Odeion). Towards the end of Arkadiou street (corner of Ougo str. ), the Kara Musa Pasa mosque. See also the uptown minaret, Veli Pasa mosque, under some refurbishment. Up from the post office, near corner of Markellou and Andoulidaki streets. The Rimondi fountain, with rich decoration is situated at Platanos square, the centre of the Venetian town. It was built in 1626, by A.Rimondi, in order to provide the citizens with drinkable water. Carnival: every late February/early March strange and colorful outfits, floats decorated in brash, bright and sometimes controversial themes, hordes of people, together create the Rethymno carnival. Known as the biggest of its kind in Crete. This is set on a holiday known as “Apokries” (the Greek Halloween). The big carnival parade is the climax of the celebration and great fun for adults and kids alike. We will continue towards Chania, passing by Georgioupolis and other small traditional villages. We will stop before reaching Chania to take a picture and admire the panoramic view from the hill of Venizelos Graves. We will reach the city, where we will start our walking tour to explore the rich in Venetian monuments city and we will end up close to the Venetian port. You will then have free time to explore on your own and choose one of the local taverns to have lunch. The city of Chania is built – according to the archaeological research – on the ruins of ancient Kydonia, which according to the mythology was founded by king Kydon and was one of the most important cities Of Crete, as Homer mentioned, whereas Kydonians are supposed to be a pre-Hellenic tribe. 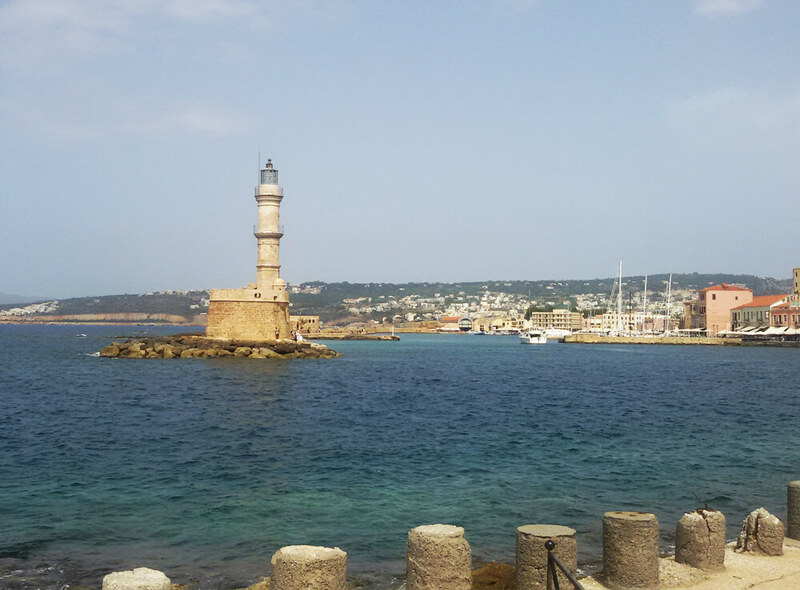 Chania is a wonderful mixture result of Eastern and Western civilizations. 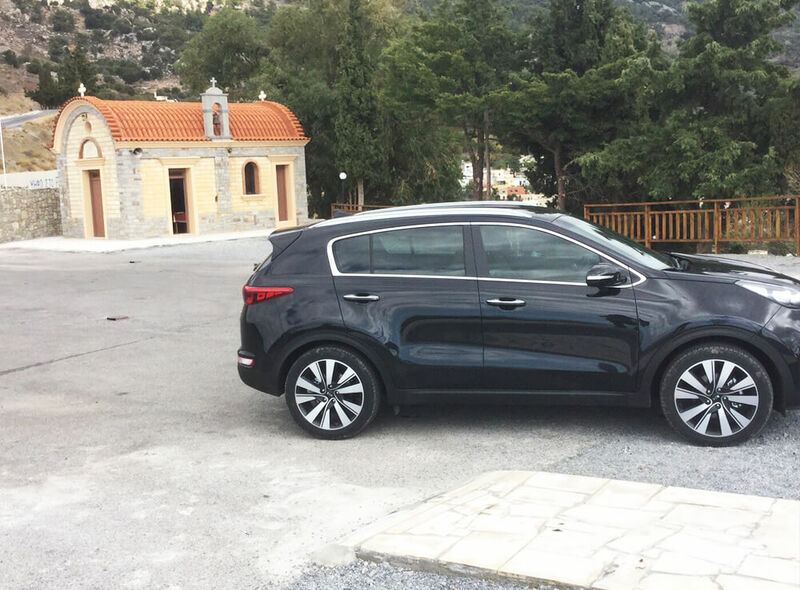 Later during the day we will start driving back to Heraklion. Join us to explore the amazing cities of the western part of Crete. Please note that due to the Cretan landscape, (the distance to Chania is 147 km), this is a full day tour and to be exact a long day. We aim to please our guests, so we do not wish to rush you through the sites (estimate duration of the tour more than 8 to 9 hours).